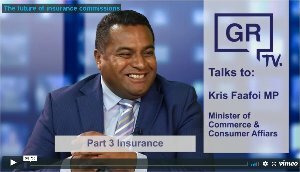 Commerce and Consumer Affairs Minister Kris Faafoi says he’s made it clear from the outset that small financial advice businesses need to have their voices heard as the new regime is developed. The Financial Services Legislation Amendment Bill passed its first reading before Christmas, earlier than had been expected. Faafoi said he kept pressure on that process because he had heard from the industry how important it was that the bill’s progress continued. He said, both in government and in opposition, he had heard from small financial advice players who were worried their perspective would be ignored as bigger providers were better able to lobby for their interests. Faafoi said he had heard concerns that the code working group, developing the new code of conduct, was favouring the “big end of town”. He said he was primarily concerned that that the final product decided upon by the working group was for the benefit of consumers. He said if people felt they were not being listened to, they could take that up with the Ministry for Business, Innovation and Employment or make a formal complaint. Mr Faafoi - are you aware of the Royal Commission that is reviewing Australian Financial Services at the moment, and the implications that this will have on Australasian bank participation in wealth management? Or was the statement "...along with the big players in the market who WOULD serve the majority of consumers in the market" a typo? I trust that the CWG vision remains aware of the inevitable changes that will occur within our own financial services industry, and that all "small industry players" are actively consulted and involved in the process - not just those "who had voiced their concerns"
"According to Kell (Deputy Chairman of ASIC), financial advisers to clients with self managed super funds fail the legal requirement to properly consider the best interests of their clients in an astonishing 90 per cent of cases. Even though a much smaller percentage results in financial detriment for clients, he told the commission the industry as a whole is "struggling to get to grips with how to implement" the best interests duty. But what became clear under relentless questioning of AMP executive Anthony Regan later in the afternoon, is that some of this at least is due to deliberate commercial decisions rather than mere ignorance or inadvertent failures of process or systems. Regan not only had to apologise for AMP charging customers fees for no service, for delays or failures in informing ASIC of such breaches and for neglecting to address them anywhere near quickly enough internally. He also had to repeatedly concede AMP had continued to make false or misleading statements to ASIC about all this until as recently as last year." I have this morning forwarded both the Minister and MBIE an article published in this mornings SMH about AMP's experience at the Royal Commission as the first of the big 5 to be on the stand. AMP is a member of the BEOT in NZ who we claim have captured our regulators. "AMP has stumbled its way through a shambolic first examination at the banking royal commission after the wealth manager admitted senior staff ignored legal advice that the charging of customers for services they did not receive was unlawful. The royal commission also heard on Monday that AMP’s financial planning arm was riddled with misconduct and that the group’s financial planning arm had identified more than 500 planners who had committed fraud, were dishonest or incompetent. that its scheme to provide a retirement plan for external advisers was designed to incentivise the sale of AMP’s products over those of other banks. AMP’s day lurched from bad to worse when its head of advice and New Zealand, Jack Regan, was forced to admit that he did not know what he was apologising for when he made an apology for regulatory breaches in his witness statement. During an excruciating exchange with counsel assisting Michael Hodge, QC, Mr Regan said at various points that the apology related to AMP making misleading statements to ASIC or the breaching the wealth manager’s financial services licence or the Corporations Act. However, AMP had made no such admissions in its submission to the royal commission. When asked for the last time by Mr Hodge what breaches the apology referred to, Mr Regan said: “I’ll have to take that on notice”. Mr Regan responded after a long pause: “Yes, I am uncertain." Good work Pragmatic, Thom Bentley and Murray. Really the problem in Australia and NZ is that product origination and "advice" cannot be achieved by the same entity ie vertically integrated providers. To achieve independent advice the law needs to enforce a split of commercial banking from advice so that advice truly is independent of product origination. America did this back in the 1930's thanks to the Glass-Steagall Act. We need our own versions of Glass-Steagall in NZ and Australia. You cannot "manage" a conflict like this as the current proceedings in Australia illustrate. Agreed. We should also apply the same thinking to fund managers which have in-house ‘advice’ teams and sharebrokers with in-house fund management companies.